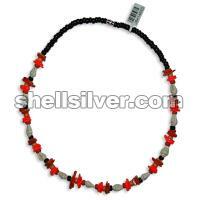 Necklace 18 inches in 4-5 mm coco pukalet black, light orange and orange, white rose dark orange and neon orange and nasa shell white. A CUT-IT-Yourself 605pcs. Colored Capiz chips 50mm diameter in 30 meters nylon strand. 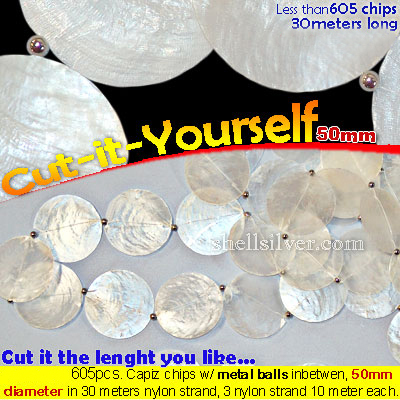 3 nylon stran more..
A CUT-IT-Yourself 605pcs. 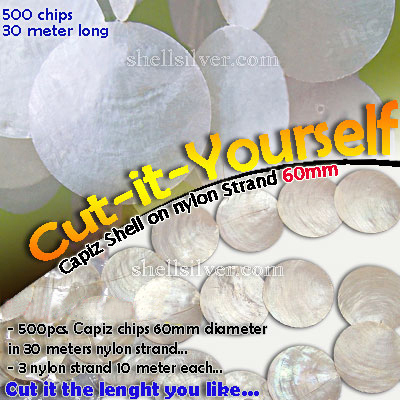 Capiz chips 50mm diameter in 30 meters nylon strand. 3 nylon strand 10 met more..
A CUT-IT-Yourself 605pcs. Capiz chips w/ MetalRings 50mm diameter in 30 meters nylon strand. 3 nylon more..
Capiz Shell Loose 60mm diameter - 500pcs Capiz Chips with one hole and delivered anywhere in the wor more.. 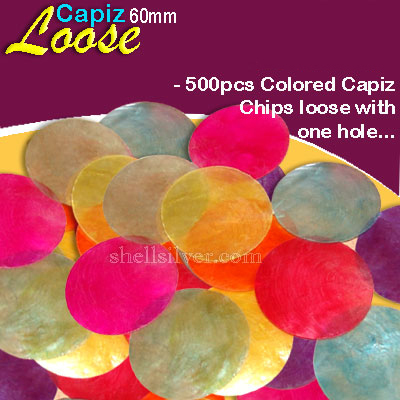 Colored Capiz Shell Loose 60mm diameter - 500pcs Colored Capiz Chips with one hole and delivered any more..
A CUT-IT-Yourself 500pcs. Capiz chips 60mm diameter in 30 meters nylon strand. 3 nylon strand 10 met more..
A CUT-IT-Yourself 505pcs. 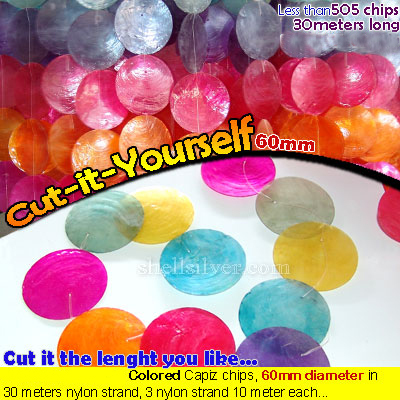 Colored Capiz chips 60mm diameter in 30 meters nylon strand. 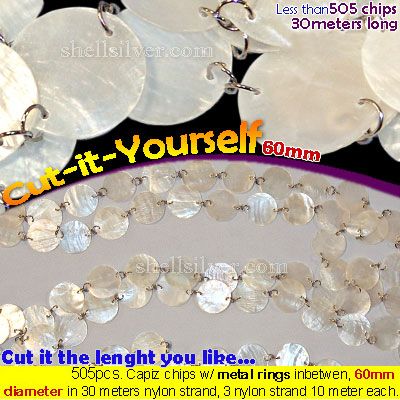 3 nylon stran more..
A CUT-IT-Yourself 505pcs. Capiz chips 60mm diameter in 30 meters nylon strand. 3 nylon strand 10 met more..
A CUT-IT-Yourself 505pcs. 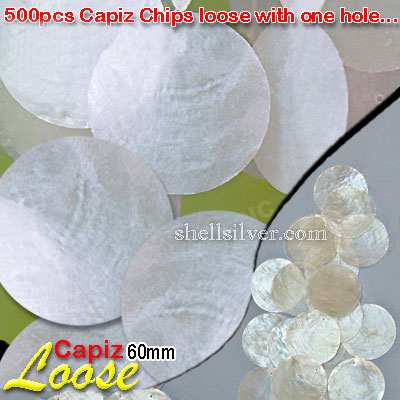 Capiz chips w/ MetalRings 60mm diameter in 30 meters nylon strand. 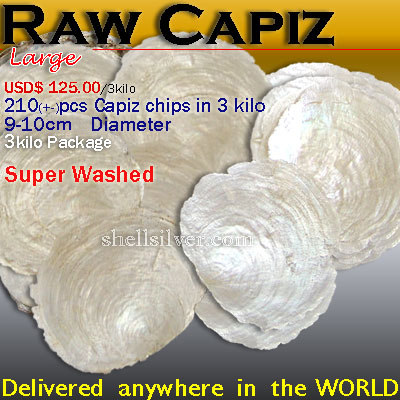 3 nylon more..
Capiz raw Shell large 210pcs(+-) more or less, 9-10cm in diameter, 3 kilo package in super washed an more..
Capiz raw Shell small 510pcs(+-) more or less, 7-8cm in diameter, 3 kilo package in super washed and more..
Capiz raw Shell xlarge 150pcs(+-) more or less, 11-13cm in diameter, 3 kilo package in super washed more..